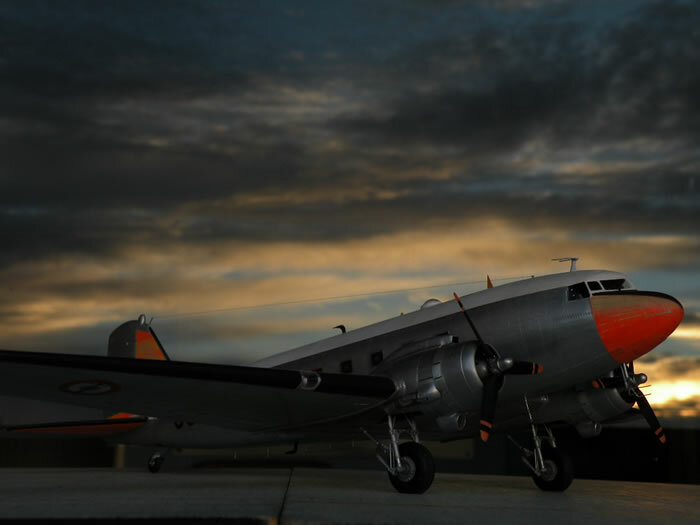 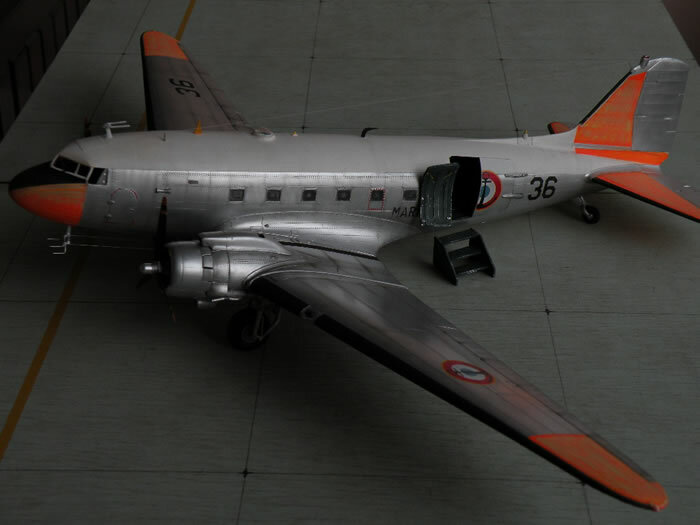 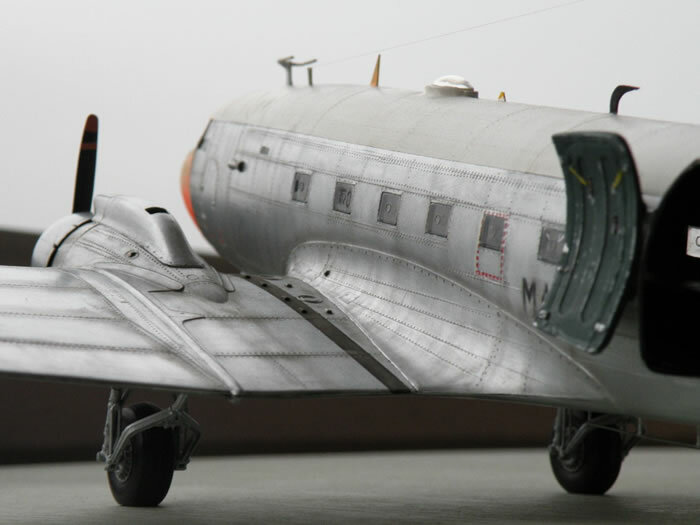 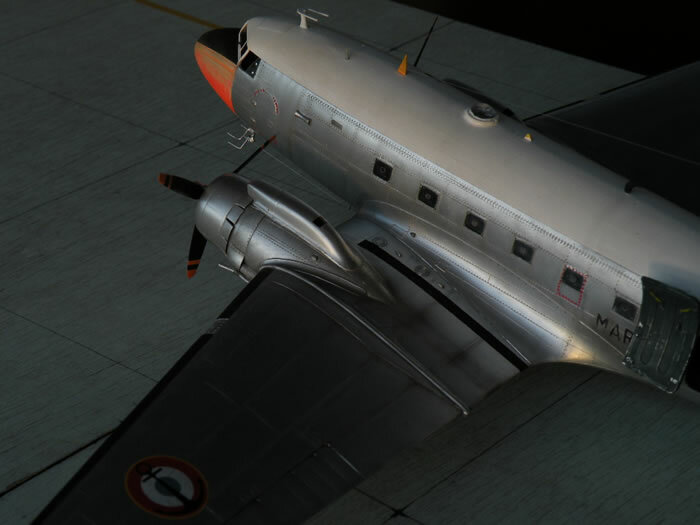 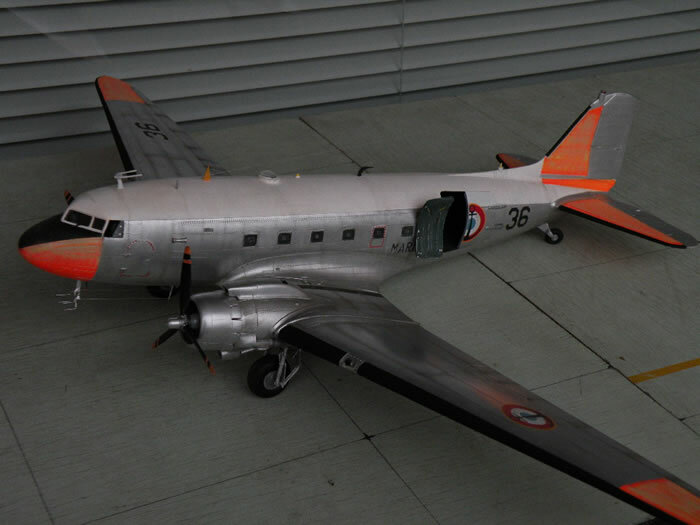 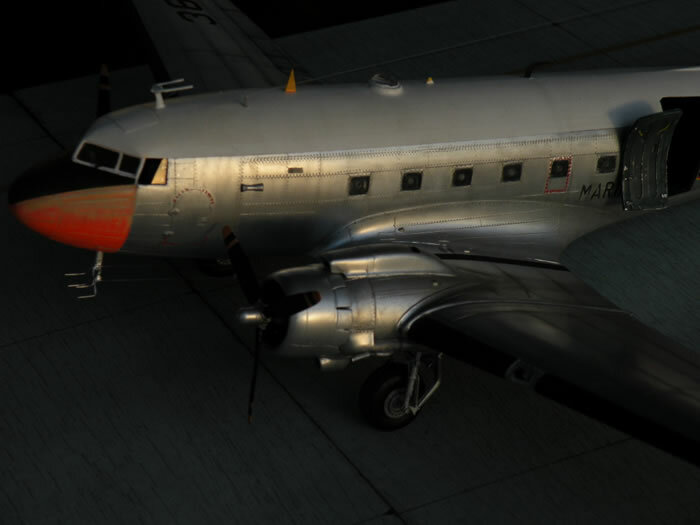 Here is my 1/48 scale Monogram C-47 Skytrain. 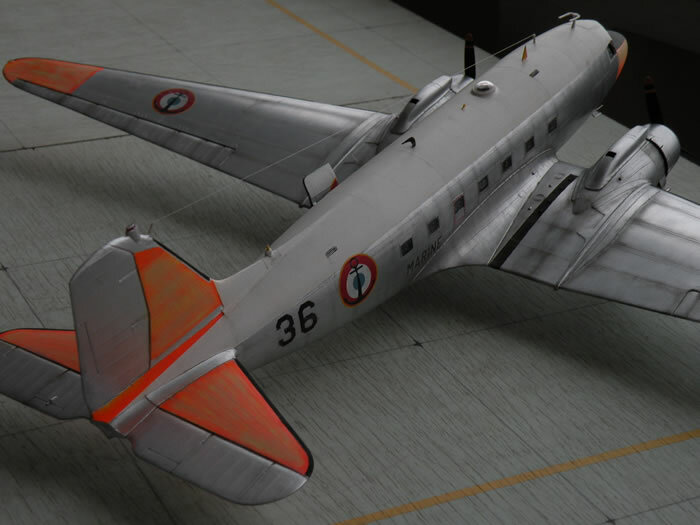 I built this because the Trumpeter kit seems to be based on the Soviet version of Douglas. 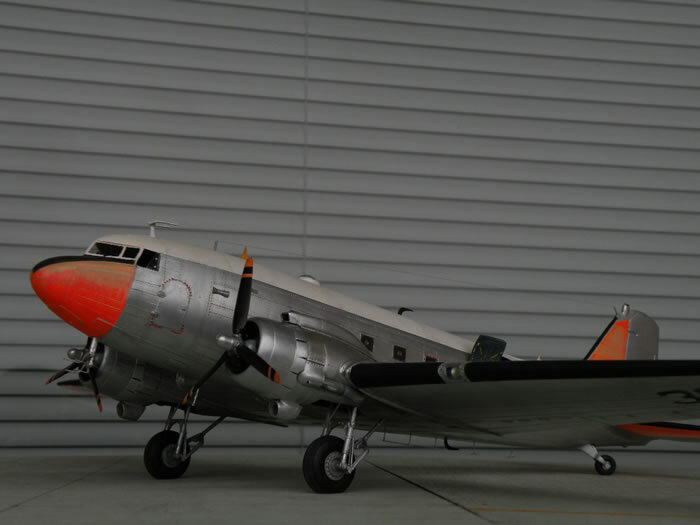 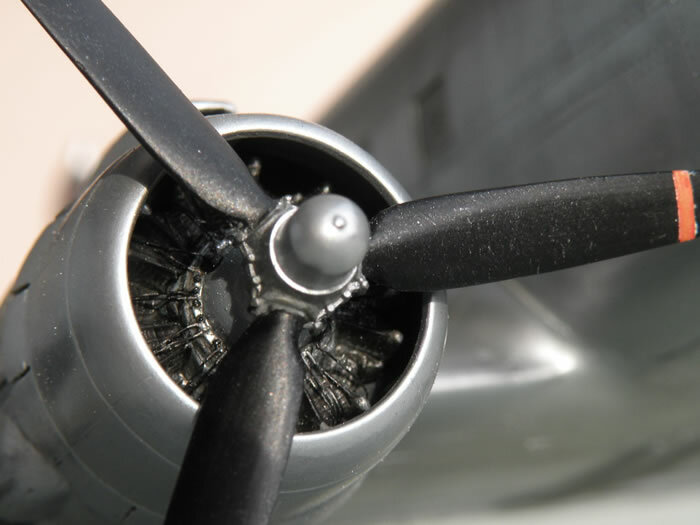 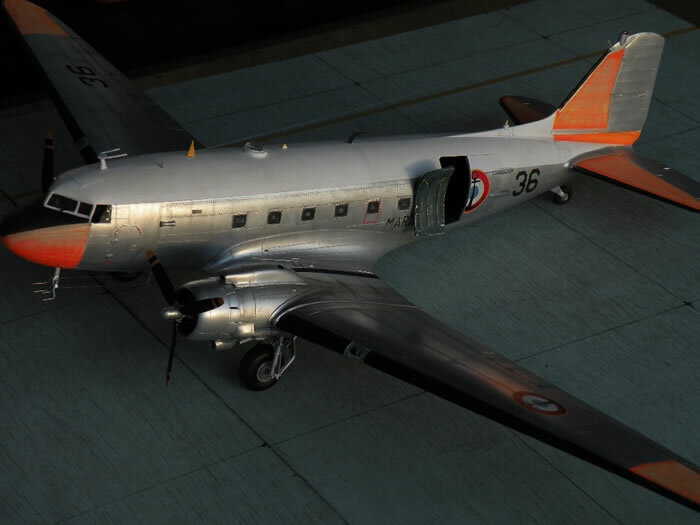 it is a LI 2. 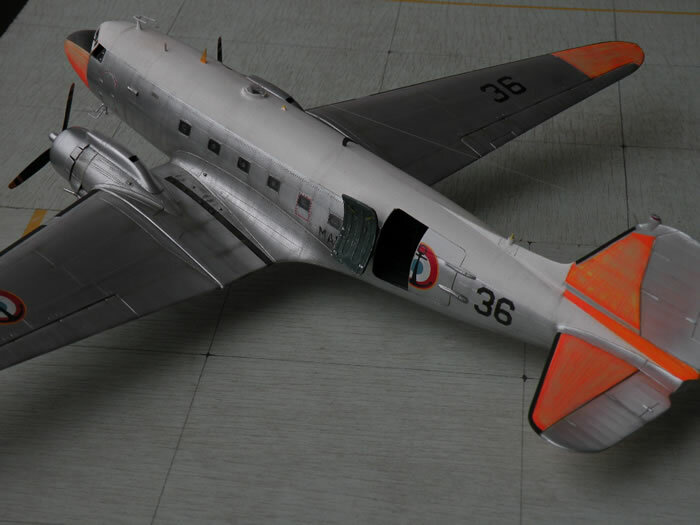 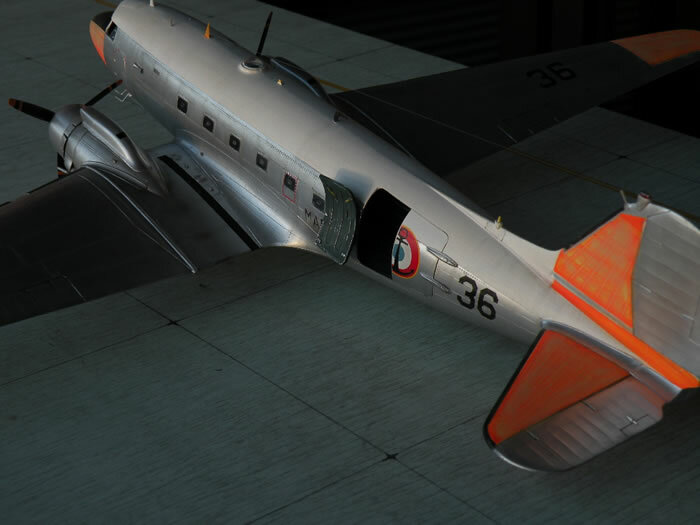 The main modifications are to enlarge the nose as well as the panes of the cockpit refaitent in clear plastic, because Monogram's parts were distorted. 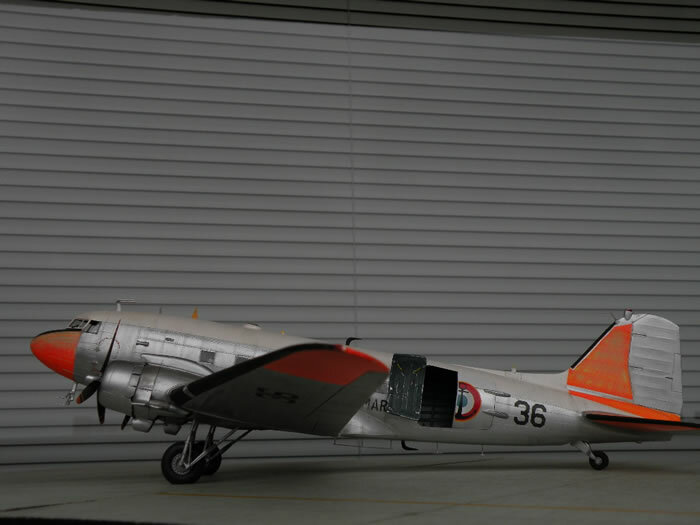 The model was painted with Rub 'n' Buff and Testor's Dayglo Orange, brush painted as usual.